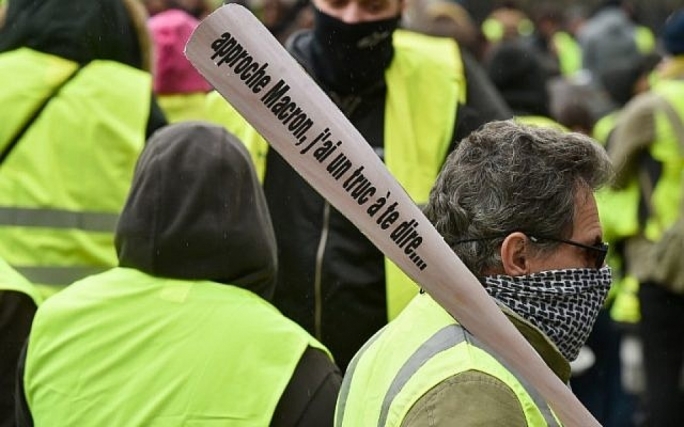 A huge clean-up operation is under way in Paris on Sunday after French “yellow vest” demonstrators clashed with riot police in the latest round of protests against President Emmanuel Macron, but a heavy security deployment averted a repeat of last week’s destruction. Protesters nonetheless set fire to cars, burned barricades and smashed windows in pockets of violence across the city center, clad in their emblematic luminous safety jackets, as armored vehicles rolled through the streets. Police reinforcements were boosted to 8,000 across the city, with armored vehicles deployed in Paris for the first time.